SuperPro has now made it really easy and affordable to repair and upgrade a huge range of VAG vehicles. The brackets and bushes are supplied together in one easy to install package, making this repair upgrade a no brainer! The negative effects for handling and braking that come from voided, soft or worn rubber bushes are eliminated with the new SuperPro Bracket and Bushing kit. 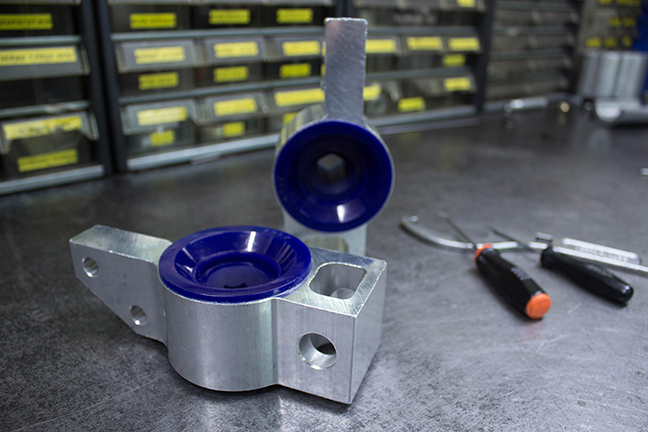 Now everyone can enjoy the feeling of positive arm location that SuperPro brings when replacing the OE rubber bushes. AmD supply the full range of SuperPro bushes for most makes and models, please call us on 01708 861 827 for prices and availability.